You can target 1 card in your Pendulum Zone; Special Summon it. You can target 1 Pendulum Monster in your Monster Zone; place it in your Pendulum Zone. You can only use 1 "Pendulum Switch" effect per ..
Once per turn, if you activate a Spell Card: This card gains 300 ATK. During either player's turn: You can target 1 Continuous Spell Card you control; return it to the hand, then you can activate 1 "M..
During either player's turn: You can return 1 Level 5 or higher "Performapal" monster you control to the hand; Special Summon this card from your hand. You can only use this effect of "Performapal Sky.. If your opponent controls a monster and you control no monsters, you can Special Summon this card (from your hand). 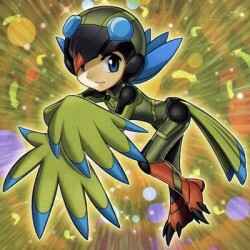 This card can be treated as 2 Tributes for the Tribute Summon of a "Performapal" mon..
Pendulum Effect:- Once per turn, if a monster is Fusion Summoned to your field (except during the Damage Step): You can add 1 "Performapal", "Odd-Eyes", or "Magician" Pendulum Monster from your Gravey..
Pendulum Effect:- Once per turn: You can target 1 Dragon-Type monster you control that was Special Summoned from the Extra Deck; this turn, if that monster you control battles an opponent's monster, b.. If a monster is Special Summoned to your field (except during the Damage Step): You can Special Summon this card from your hand, also you cannot Special Summon monsters for the rest of this turn, exce.. If this card is Normal or Special Summoned: You can send 1 monster from your hand to the Graveyard; Special Summon 1 "Predaplant" monster from your Deck, except "Predaplant Ophrys Scorpio". You can on.. If this card is Special Summoned by the effect of a "Predaplant" monster: You can add 1 "Polymerization" Spell Card or "Fusion" Spell Card from your Deck to your hand. You can only use this effect of ..
During your Standby Phase: You can banish this card from your Graveyard, then target 2 Level 4 or lower "Predaplant" monsters in your Graveyard; Special Summon them, also, for the rest of this turn, y.. If this card is Special Summoned: You can add 1 Level 1 Winged Beast-Type monster from your Deck to your hand. You can only use this effect of "Lyrilusc - Cobalt Sparrow" once per turn. A WIND Xyz Mon.. If you control a Winged Beast-Type monster: You can Special Summon both this card and 1 Level 1 Winged Beast-Type monster from your hand. You can only use this effect of "Lyrilusc - Sapphire Swallow" ..